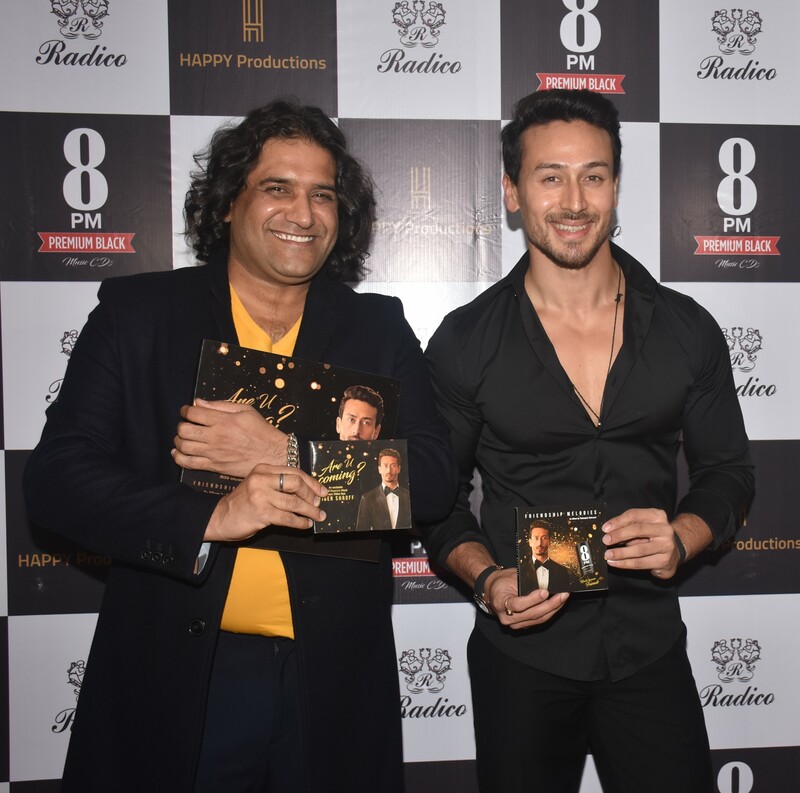 Tiger Shroff, the brand ambassador for Radico Khaitan’s iconic 8PM Premium Black brand, recently unveiled an exclusive music CD ‘Friendship Melodies’ that celebrates the essence of the brand 8PM Premium Black – Rivals become Friends. A bond with the blend reaches its peak when the clock strikes 8 and has the potential to get enemies come together. The nine melodious songs revolve around friendship and are penned down and sung by the enormously talented Padamjeet Sehrawat in association with Kamal Joshi. 8PM as a brand has created some of the most memorable brand campaigns which showcase how the smooth blend of 8PM, when shared – celebrates success, friendship and spirit of solidarity amongst rivals. The music CD joins the league of this thought thorough some great tracks. The music CD was launched by Tiger Shroff at the event where he also unveiled his electrifying music video #Areucoming – a first of kind done by 8PM Premium Black.